Liquid Gold, the story of my research into golden trout in the high Sierra. Enough is Enough, about the McCloud River, taken from my book, Shasta’s Headwaters. 5:00pm Dinner with speaker Denny’s 200 S. Akers St Visalia. 6:30pm Fly tying with the speaker. 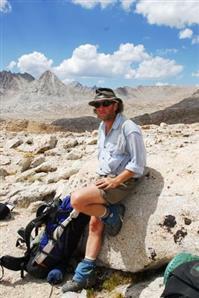 Craig is a native of Mount Shasta, California where he grew up climbing, fishing, and skiing. He has worked for California Trout for the past 17 years. He is the author of Shasta’s Headwaters: An Angler’s Guide to the Upper Sacramento and McCloud Rivers. ← South Eastern Utah – new water that is lightly fished!